Gorgeous rooms on the 6th floor with a great view. Super modern with awesome features. We will be back! Room was very nice. Bathroom was nicely updated. Hotel restaurant was nice, food was very good. Where to find Saint-Narcisse-de-Rimouski hotels near an airport? 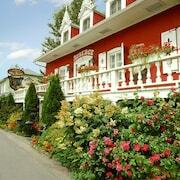 Where can I find hotels in Saint-Narcisse-de-Rimouski that are near tourist attractions? Expedia's comprehensive Canada hotel database offers 4 hotels within a 0.1-kilometre (0.06-mile) radius of Saint-Narcisse-de-Rimouski. 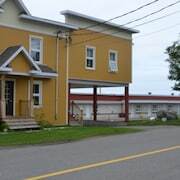 The closest Expedia-listed hotel is the Gite de la Baie Hatée, Quebec, which is 20 kilometres (13 miles) from the center of Saint-Narcisse-de-Rimouski. 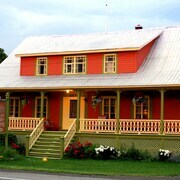 Also, you could investigate the Auberge du Mange Grenouille, located in Quebec, which is 20 kilometres (13 miles) away. The Auberge des Îles du Bic is located 20 kilometres (13 miles) away from the middle of Saint-Narcisse-de-Rimouski. Another alternative is the Gîte repos et santé, which is 25 kilometres (17 miles) away. Pointe-au-Pere can be found 30 kilometres (17 miles) to the west of Saint-Narcisse-de-Rimouski. While here, be sure to explore the Caroline Jacques Gallery. Saint-Fabien Expedia-listed accommodations include the Les Rêves et.. Veillées and Gîte La Vallée En Fleur. Or, you can find Pointe-au-Pere, 30 kilometres (19 miles) to the north of Saint-Narcisse-de-Rimouski. In Pointe-au-Pere, take the time to enjoy the Phare-De-Pointe-Au-Pere. 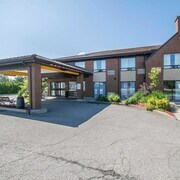 Room options in Pointe-au-Pere include the Motel de la Pointe and Gîte l'Onondaga. Mont Joli Airport is 45 kilometres (29 miles) away from Saint-Narcisse-de-Rimouski. 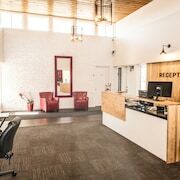 Visitors who wish to stay nearby, you can easily secure a room via Expedia at the Motel Sainte-Flavie or Le Gaspésiana. What are the most popular Saint-Narcisse-de-Rimouski hotels? 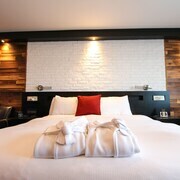 Are there hotels in other cities near Saint-Narcisse-de-Rimouski? 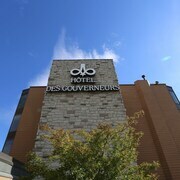 What other types of accommodations are available in Saint-Narcisse-de-Rimouski? Explore Saint-Narcisse-de-Rimouski with Expedia.ca’s Travel Guides to find the best flights, cars, holiday packages and more!